There’s a silent killer in your automobile. It can strike without warning, making you sick or, if ignored long enough, even take your life. It’s your car’s exhaust system. A leaking exhaust can be dangerous to you and your family. That’s a great reason why you should bring your car to your local Cottman center for all your service and maintenance requirements. Because their technicians are well aware of just how easily the exhaust could be leaking, without making any unusual noises. They know what to look for, and they check the exhaust each time you bring your car in for service. 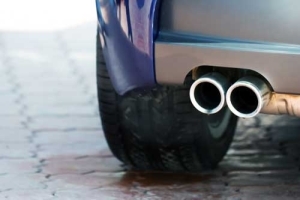 Not sure whether your car’s exhaust is in proper working condition? Or maybe you noticed a little engine noise or rattle from underneath your car that you never heard before? Call your local Cottman center today and explain your problem. They’ll get you right in and, if they find something wrong with your exhaust or muffler, they’ll work up an estimate to get your car fixed right… right away.